Welcome to another season of Pinterest Christmas! 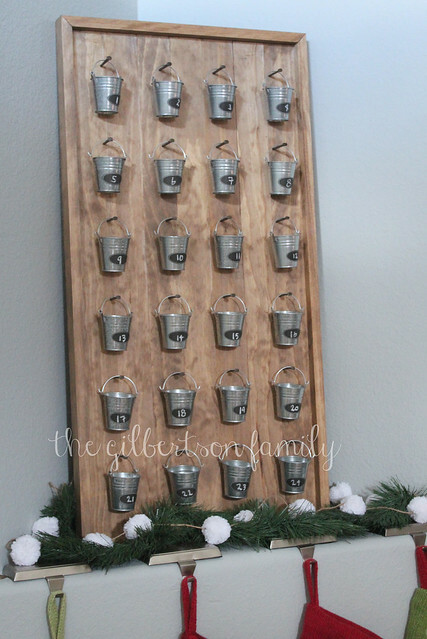 My first project for the year was to come up with activities to fill the buckets of our diy advent calendar. I am so excited for all of our fun activities this month. When I sit down to make the list of activities, I always have my calendar out so I know what fun things we already have planned so I can fill those buckets first. Next, I fill in the remaining weekend days since those days are good for more time-intensive activities. I fill in the remaining days with activities that worked well in the past, or with new ideas from Pinterest. This year, my friend Lindsey shared her list with me, so I borrowed some of her ideas to mix in some new ones. Some activities are small compared to others, but I don’t want to over commit ourselves or feel like we are rushing from one thing to the next. The point is to enjoy the Christmas season together as a family and that is what we intend to do! You can see our previous activities here and here. Keep an eye out for other fun projects coming soon as part of Pinterest Christmas and don’t forget to check out Misha’s projects at Emerald City Diaries. 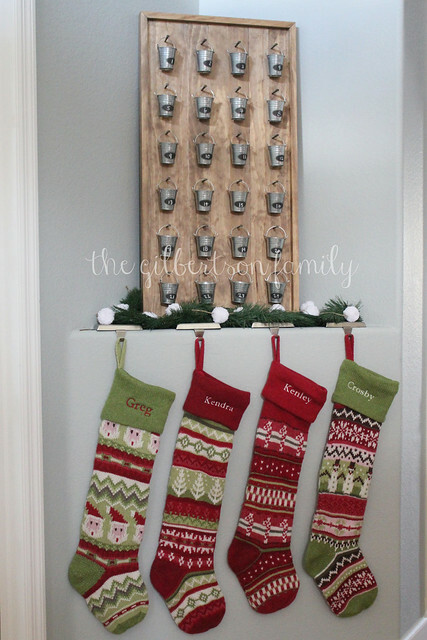 You can also see past Pinterest Christmas projects here. saturday morning started with my third half marathon downtown. as always, a full race recap is coming, but i will tell you it was a very challenging day. 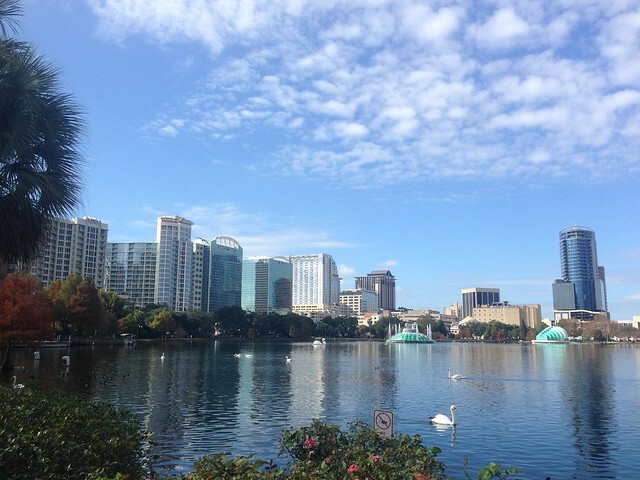 we walked around lake eola after the race. it was beautiful. 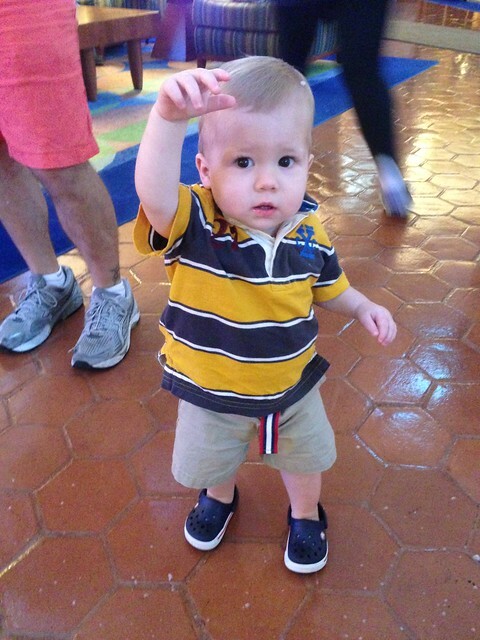 after nap time, we headed back down to lake eola to celebrate fenn’s 3rd birthday! 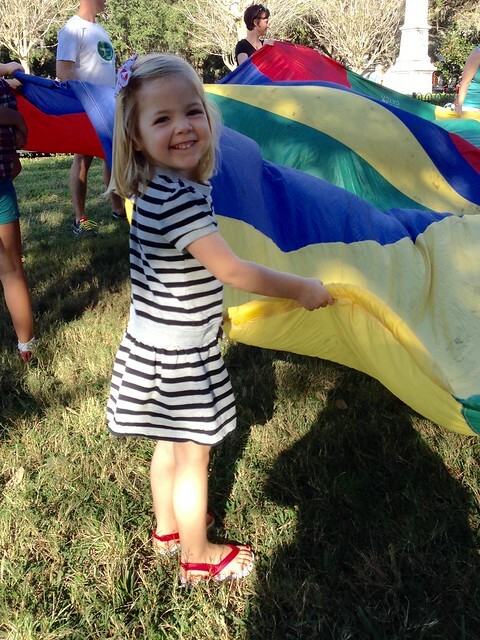 kenley had a great time seeing her friends. after the party, we headed down to disney to see my parents. 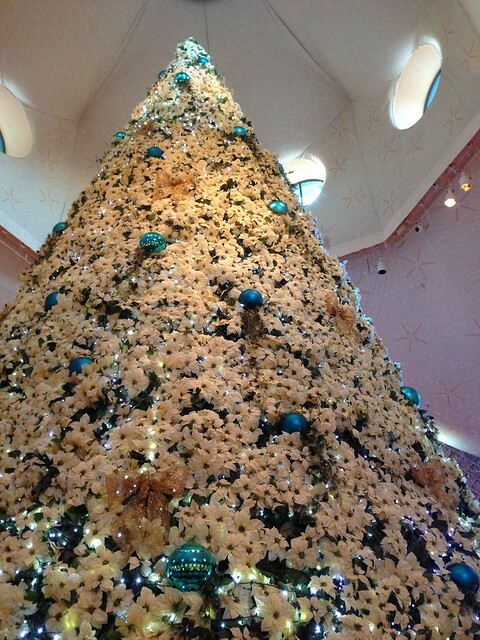 we walked over to the swan & dolphin to check out the christmas festivities. 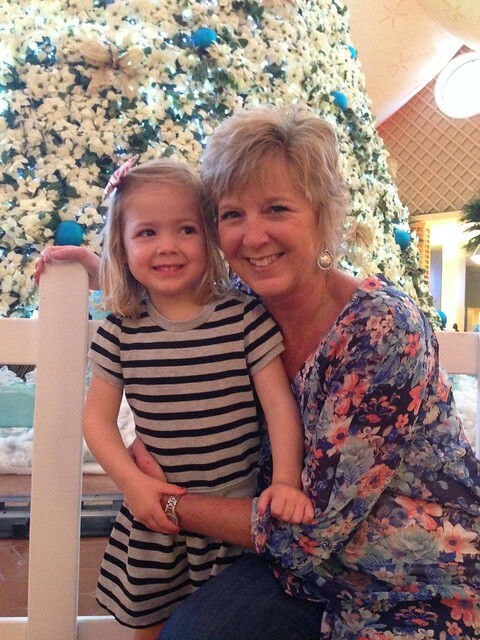 we loved seeing mema and grandpa this weekend! i have no idea how i was able to squat down at this point. 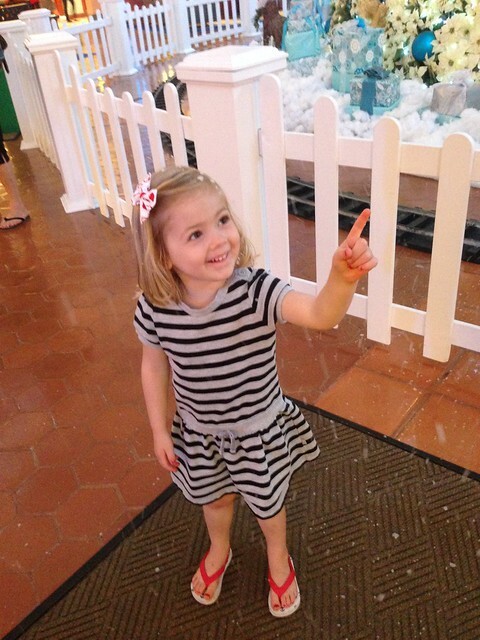 it started snowing by the giant christmas tree and the kids loved it! kenley also loved the train circling the tree that was carrying anna, elsa, and olaf. 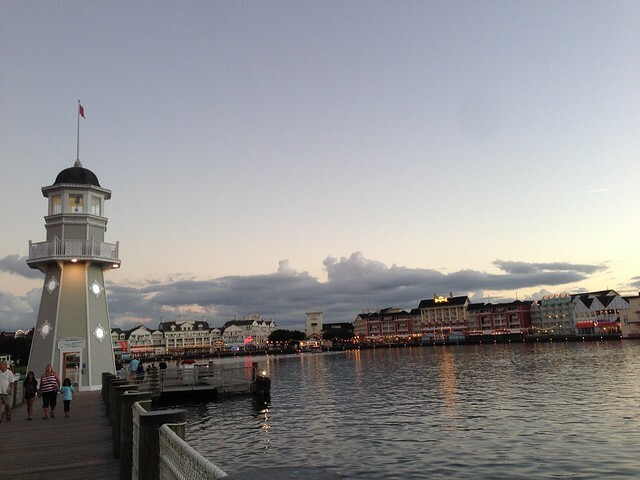 we took the ferry over to dinner where i enjoyed jumbo crab cakes and ice, cold beer which i had been craving all day. our advent calendar activities this weekend included driving around to see the christmas lights and making a gingerbread house! it was so fun. 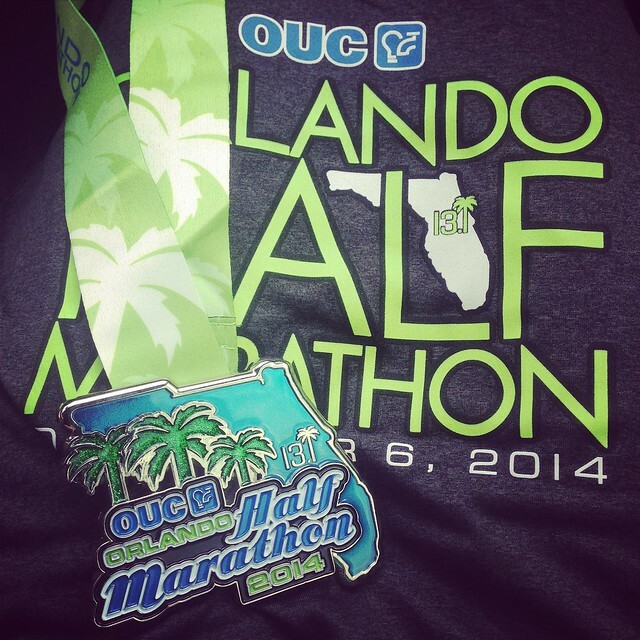 we had a busy weekend, but a fun one! how was your weekend? 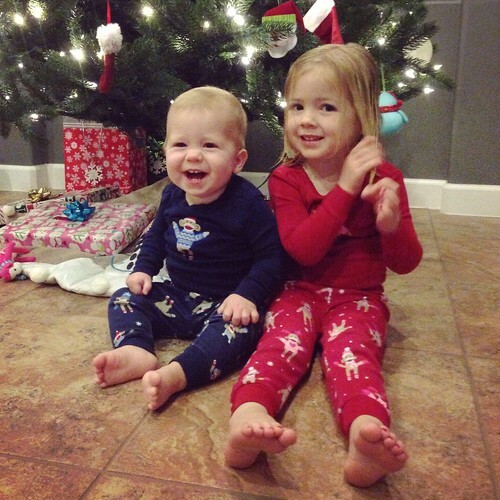 One of our advent calendar activities this week was to wear matching Christmas pajamas. I am obsessed. I had been planning on getting the kiddos some new tableware for Christmas (exciting, I know) and I had my eyes on the Re-Play Recycled set. I hadn’t purchased anything yet and I’m so glad I didn’t because over on their Instagram page, they are doing a 12 Days of Christmas promotion with half off items each day! I’ve heard great things about this brand, so I am excited to try them! Everybody loves a good hail mary to win a football game, especially if it’s one of your teams! Go Knights!! Welcome to week one of Pinterest Christmas! Greg and I have been searching for the perfect advent calendar since last Christmas. I couldn’t break down to spend a lot of money on the one I really loved and it eventually sold out. We searched this year for one that we could do ourselves and I am so happy we did! Our inspiration came from Our Vintage Home Love and her inspiration came from Pottery Barn, so of course it was right up our alley. 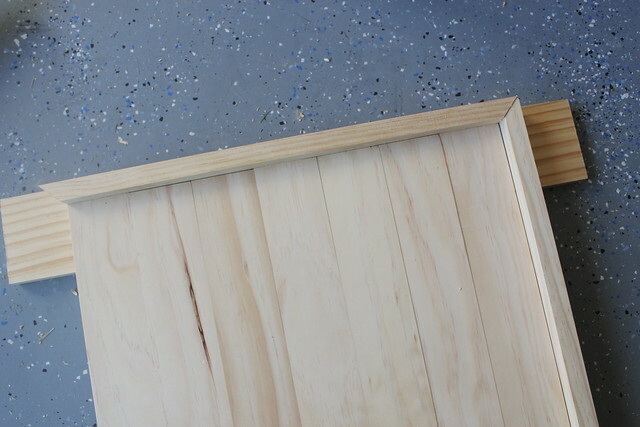 The long 1×3 boards were cut down to make seven 34 inch smaller boards. 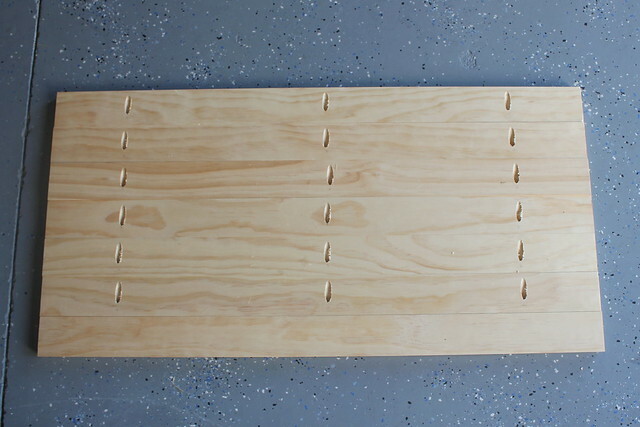 Greg used the Kreg jig and made pocket holes to join the boards. He used the 1×2 as the trim and used the nail gun to attach the trim. Before we stained the boards, we measured where to hang the nails for the buckets, which was the hardest part of the whole project. We tried to make it as accurate as possible by laying out the buckets to get a general idea where the nails would be. Once we had the buckets laid out, we marked the board with a pencil. Greg pre-drilled the holes to make the nails fit easier and to ensure the boards did not split when we hammered in the nails. Once the holes were drilled, it was on to the stain. We already had a can of stain from previous projects that we used to stain the boards. After the stain was dry, we hammered in the nails. 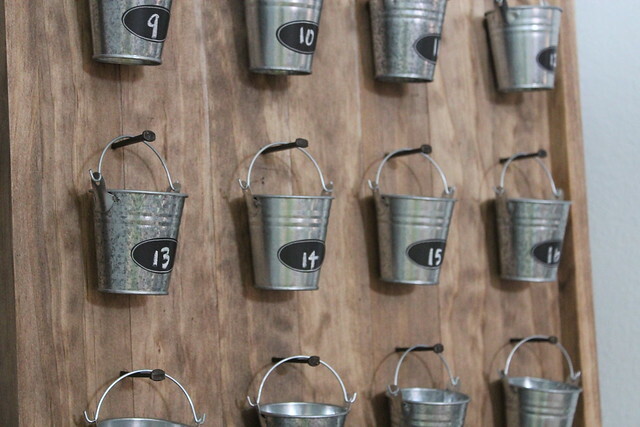 I added the chalkboard stickers to the buckets and wrote the numbers, then it was time to hang the buckets! I am so happy with how it turned out. 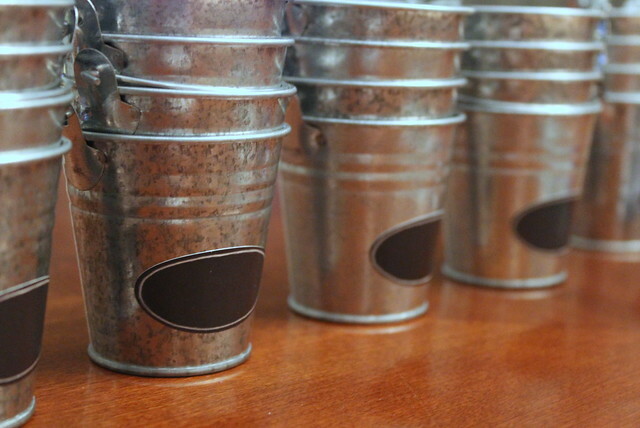 It has a great rustic feel to it and I know it will be used for many years to come. I wasn’t sure where we would put it once it was done, but we have the perfect spot for it in our entry way. I am also thrilled and so thankful that the advent calendar is featured in the holiday issue of The Moms Magazine that came out last week! 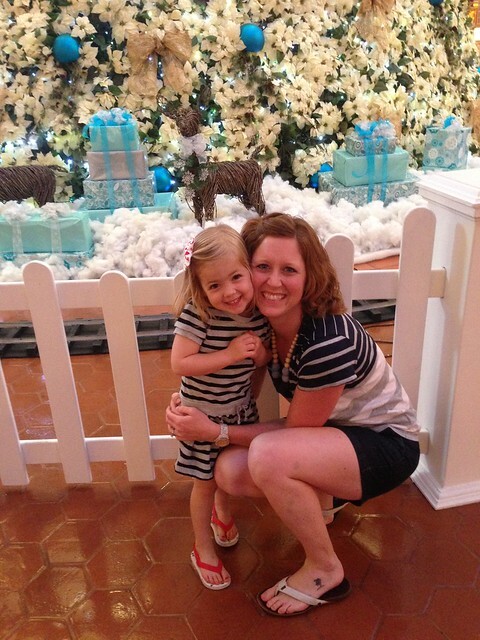 I shared the list of the fun, family friendly activities that we are using to fill the buckets over on Orlando Moms Blog, so be sure to check that out too! For more projects and inspiration, check out the other blogs in the A Pinterest Christmas series [Emerald City Diaries | Greg & Maggi | The Gilbertson Family | The Pena Family | This Grey House | Without A Doubt]. 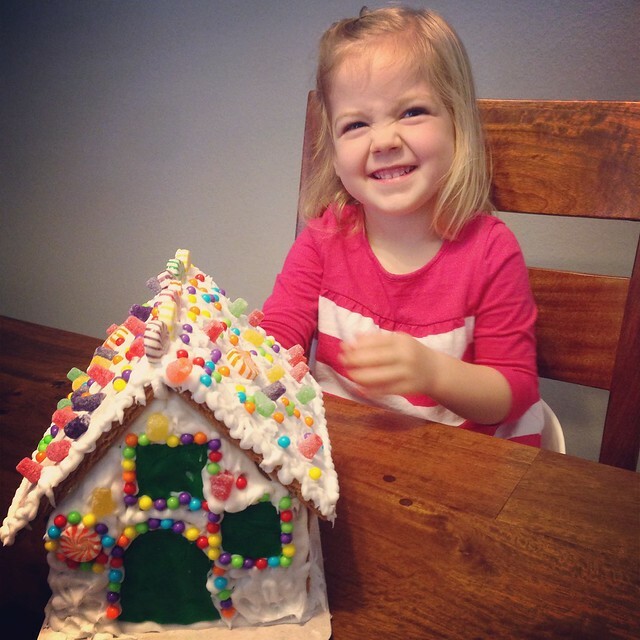 Share your Pinterest Christmas projects with us! Comment on one of our blogs, link back to a post, or use #PinterestChristmas2014 on Instagram!